Cape Town — The African Union (AU) appears determined to make a decisive, high-level intervention to resolve the political crisis generated by the contested results of the Congolese elections. The current AU chair, President Paul Kagame of Rwanda, will lead an urgent mission – including other heads of state – to the Democratic Republic of Congo aimed at "reaching a consensus on a way out of the post-electoral crisis in the country," the AU says in a communiqué. The communiqué, which followed a meeting of heads of state and government called by Kagame at AU headquarters in Abbis Ababa on Thursday, said the meeting "concluded that there were serious doubts on the conformity of the provisional results, as proclaimed by the National Independent Electoral Commission, with the votes cast." As a consequence, the meeting called for "the suspension of the proclamation of the final results of the election." 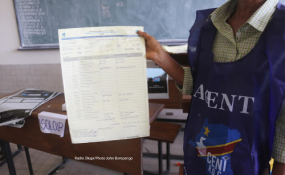 The electoral commission said Félix Tshisekedi, a long-time opponent President Joseph Kabila's government, won the election. But the results have been challenged in a number of detailed analyses, which suggest that Martin Fayulu, the unity candidate backed by a range of opposition politicians, actually won. Fayulu has accused Tshisekedi of doing a backroom deal with Kabila to share power and is challenging the results in the country's constitutional court. The speed with which Kagame summoned the African Union meeting, and the bluntness of its language, are unusual in the world of multilateral African diplomacy. Earlier in the week, President Edgar Lungu of Zambia, who chairs the peace and security arm of the regional grouping, the Southern African Development Community (SADC), called on the DRC's political leaders to negotiate a settlement establishing a government of national unity. The DR Congo is a member of SADC. "SADC draws the attention of Congolese politicians to similar arrangements that were very successful in South Africa, Zimbabwe and Kenya where governments of national unity created the necessary stability for durable peace," Lungu said. SADC leaders including Lungu, the SADC chair, President Hage Geingob of Namibia, President João Lourenço of Angola and President Cyril Ramaphosa, also met in Addis Ababa on Thursday, where they were briefed by the DR Congo's foreign minister and Deputy Prime Minister, Leonard She Okitundu. But there was no mention of Lungu's appeal in the SADC communiqué issued after the Thursday meeting, which limited itself to an appeal for the DRC's legal processes to be respected. The SADC leaders instead asked the international community "to respect the sovereignty and territorial integrity" of the DRC, called on the Congolese people "to address any electoral grievances in line with... Constitution and relevant electoral laws" and said they "recognised and underscored" the role of the Constitutional Court. However, it was not immediately clear whether the SADC presidents' statement revealed differences between SADC and the AU, or simply reflected their customary caution over calling out one of their number publicly. Kagame's assertiveness is consistent with his determination that Africans should solve African problems. Kigali's The New Times newspaper reported him on Friday as saying that failing to meet was "one way of inviting outsiders, people outside of our continent, to meddle and be the ones to get busy with us trying to find solutions for us."